Hi everyone- Here are the updates for this week. We will have Instructional Rounds again on Monday from 8a.m.-12noon. Our 3rd grade team will observe 4th grade team and Amy Illingworth will be joining us. Thank you to both 3rd and 4th adn 5th and 6th grade that have taken part in this so far this year. Please continue to use PLCs to unpack your focus standards for your current or upcoming Unit of Study. If you are much of your PLC spending time around CC Math, as most teams are, take this time to discuss the recent PD conducted by our ILT team and how you might include some of the ideas that were shared. (Number Talks, Fluency Practice using games, Rich word problems with slight adjustments for support and challenge students, etc.) Remember, you can find the PowerPoint from our recent ILT meeting on our district CC ELA page under “ILT” link which I’ve hyperlinked here. You can then find the box/link titled “ILT Round 2.pptx”. You will find many resources there and you can find more info on Number Talks on your CC Math Units of Study page here. Also remember that your PLC time is where your Grade Level Lead rep should be sharing out info from the most recent meeting which should happen in the PLC that immediately follows the Grade Level Lead mtg. We will have a staff meeting this week in Rm. 21 at 1:40p.m. Please bring your laptop and journal. I will be asking various committee members to briefly share out and we will discuss some other “Nuts n Bolts”. We will NOT have a staff meeting/PD on Dec. 17th. As we have now entered our second trimester, this means that each grade level has a full day or 2 half-day release days for your team to use for extra planning (Our site plan has 3 release days budgeted for each grade level). If your team should choose half days instead of one full day, please make sure to avoid Friday p.m. half days as those are very hard to fill with guest teachers. I will be busy in the next two weeks with reading/popcorn visits for my winning October and November monthly attendance classes. I believe that most everyone has signed up and I have placed these appointments in my calendar. I appreciate that all of you know that should a discipline issue arise, this may delay my visit but I will cross my fingers for great Respectful, Responsible, and Safe behaviors in the last two weeks before break. This may not be new to many of you, and it can be found on our district site and the ILT links but HERE is Jo Boaler’s free website YouCubed- this site is SO user friendly! It has tabs for teachers, PARENTS, admin, and more! And plenty of videos too! or something that you are excited to try out in your classroom? or something that you are already trying and finding success with? I feel that CPM, the math program for 6-7-8, does a nice job of incorporating fluency and mental math into its lessons, but I will try harder to fit some additional work in these areas into the day. In all honesty, I was a bit frustrated while reading the article by Jo Boaler. It was a heavily slanted article using harsh words such as “causing damage” to students due to timed tests. In the real world, we are expected to finish many tasks in a certain amount of time, and it cannot be sugar coated. My high school senior just recently took the SAT and it was timed! As frustrating as the ticking of a clock can be while trying to show our fluency, I can see the validation to such tests. I also completely understand that conceptual understanding to any subject is vitally important. Hence, I strongly believe in the balance of teaching, but to say one is causing such “damage” and that we as professionals aren’t looking into research or pulling from resources to help our students, is a bit harsh. 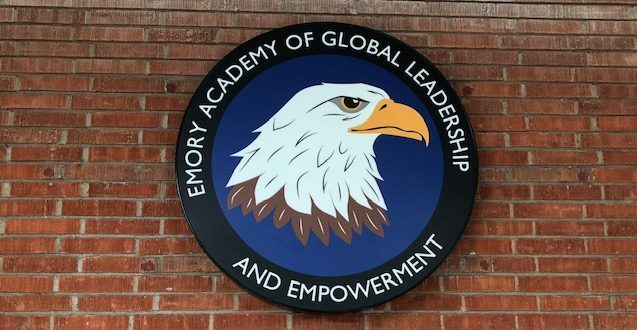 At Emory, I see teachers professionally working together to improve our students’ academics and value the time given to us to research and share out with others. I will certainly embrace some of the conceptual strategies in my class, as I have been doing with Number Talks. I feel I’ve changed the structure of my math lessons at least every few weeks so far this year, as well as pretty much every day last week. I am excited/nervous to try something new yet again and hope that I can develop a functional structure that will provide fluency and development of number sense, conceptual learning, rich tasks, and small group intervention for all of my students. I am changing my math lessons as my students work with the new approaches. Still having trouble with asking them to talk to their classmates, or me, to explain how they arrived at their answers. Most often I get the beloved ‘because’ or that’s how you told me to do it. Ongoing process, I will learn from them, and hopefully they will learn from me. We are making logical connections with math skills! I am just coming to grips with the Engage NY. It has been a big transition for me. Now I find that the person whose article we read really dislikes it. Not only that, but by having my students learn their multiplication facts in a timed setting is really harming them. I think I need to retire. Wow…a lot to think about on a Monday morning….. Thank you Rebecca for your kind and insightful comment 🙂 . I am interested in how Number Talks help with the concept of number sense. I must say that since our last meeting I have kicked off my math lessons using mental math. My students are really enjoying this as it’s helping them to think and allows them to explain their thinking and strategies used. My students are really enjoying Number Talks and various math Fluency games. Today at our PLC I shared the following link to some great youcubed games. So far, our favorite fluency games are: How close to 100? and Tic-Tac-Toe Products (There is also Tic-Tac-Toe Sums games and more! p.s. I must add to the the conversation that I also agree it is important to remember to have a “balanced math program”. Many of the activities viewed as “new” are activities used many years ago when Family Math was so popular. The Mathland bins contain valuable tools that I am so glad our school keeps in the Math shed, thanks Dana! At the 3rd grade level lead meeting, Michelle gave credit to Emory School for housing valuable math tools when other schools threw them away! As professionals and dedicated teachers, I believe it is important to remember that students learn in different ways just as we all teach differently. Let’s continue to learn and value each other’s contributions….our many years of experience and the excitement of the new!